About a year ago I posted my Trail Card for the FT1D. However last summer I upgraded to the FT2DR. I found posting APRS SOTA spots much easier with the touch screen on this HT. I really like my Yaesu FT2DR. 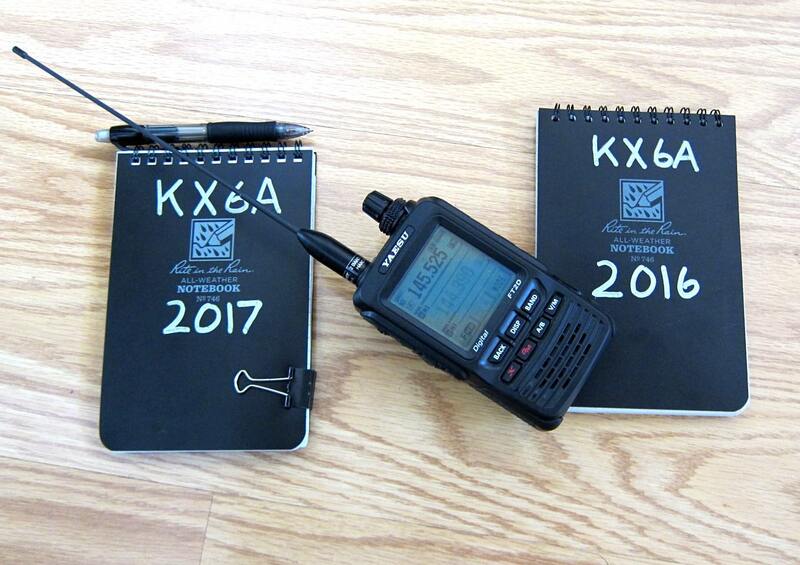 It has been a solid performer and accompanied me on every SOTA activation since last summer. It is the HT I use for all my 2-meter activations. I find the menu system much easier to navigate on this unit. 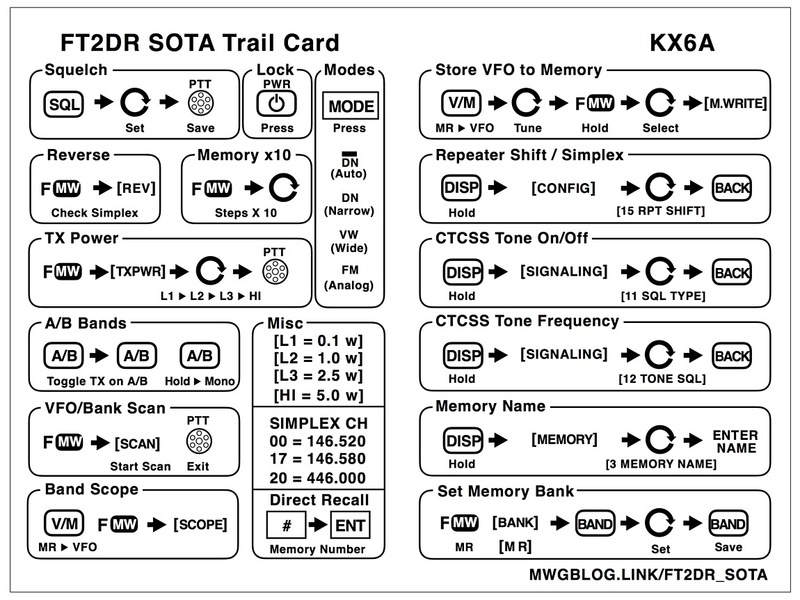 That said, I always pack my SOTA Trail Card (cheat sheet) just in case I forget one of those rarely used features hidden deep in the Yaesu menu system. Short of using the radio everyday, it is easy to become lost navigating some of the less used features. If you find Yaesu FT2DR SOTA Trail Card it useful, you are welcome to it. The FT2DR SOTA Trail Card is not a comprehensive FT2DR operating overview but contains features, functions and information that suits how I use my FT2DR in the field. 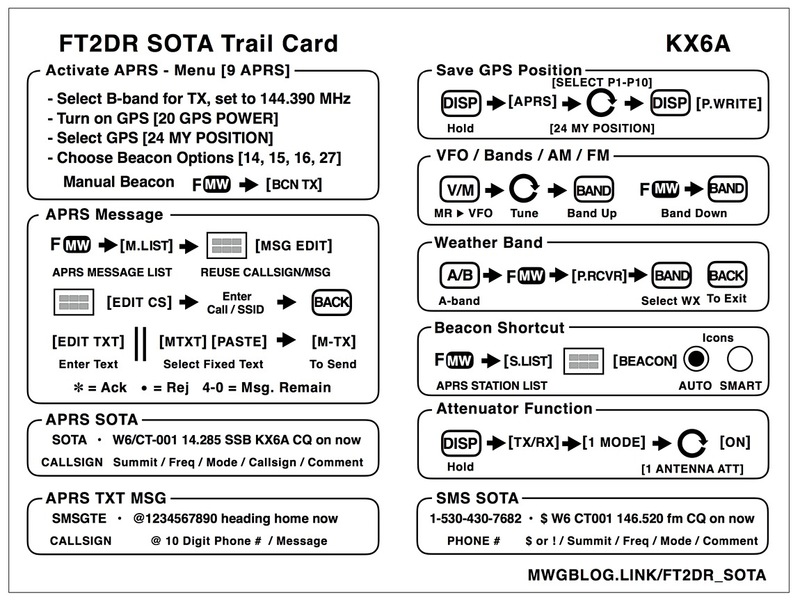 For example, one of the aspects unique to the trail card is information specific to using the APRS2SOTA self spotting system as well as APRS to Text messaging. I’ve provided both a PDF version to print and a jpeg images in the post you can save on your mobile device. The trick to the PDF version is to print the FT2DR SOTA Trail Card duplex (double sided) using short edge binding. That way it lines up and you can cut and laminate it so that it is a bit more durable out in the field. Thank you. this is usfull. I keep it in my backpack in case I need it on activation.